Until now, retailers had to completely re-index their Magento sites when adding products or changing prices, images or production descriptions. In the new version, they can partially re-index the site in seconds. For example, if a retailer needs to reorganize the product catalog with a full indexing, that will now take under one hour for a site that sells 1 million products, which took nearly six hours in the older version, this comes out to be an 83% reduction which is a massive improvement in terms of performance. An Australian retailer shared their experience of testing the new Magento EE 1.13 and found out the page load time for their store was nearly cut to half. Faster page loads for a site with more than million products means great user experience. 1) Order Ahead – Which allows consumers to order and pay for products through the PayPal mobile app and pick up their orders in store. 2) In-aisle Selling – This allows merchants to complete the transaction anywhere in their stores by connecting their Magento store to PayPal Here. It is well designed and equipped to handle larger product catalogs and transactional volumes. Hence, definitely recommended for larger retailers and brands. What Next: Magento plans to roll out the next version of Community Edition – 1.8 version – in the coming two weeks. 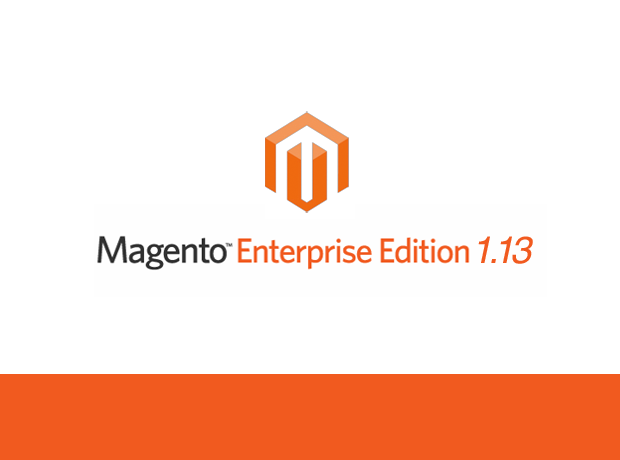 And, Beta testing for the next major upgrade from Magento- “The Enterprise Edition EE 2.0” which will begin in the last quarter of this year.